Thanks to the help of a large dedicated structure and machines that allow a wide range of productive action, we are able to realize any type of article. 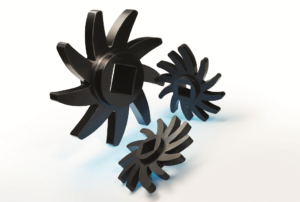 Rubber molding is performed by compression presses, which allow the use of molds up to a size of 1000×1600 mm and 800 tons of pressure. 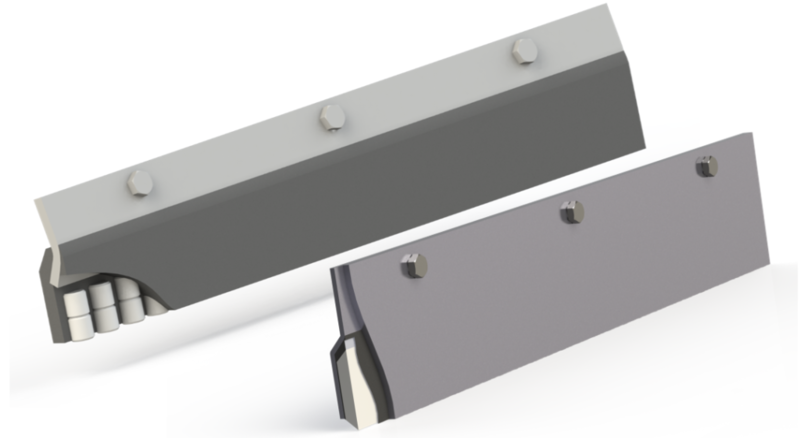 Composite snowplow blades: steel, ruber and corundum ceramic. On request we can design and fabricate snowplow blades to meet specific requirements. Rubber coated sheets, available in standard sizes 300×300 and 300×150 mm, or shaped according to the chute design. Available in various sizes and types. 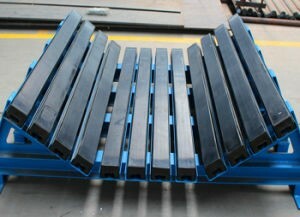 Impact bars used in the conveyor loading area under the hopper. 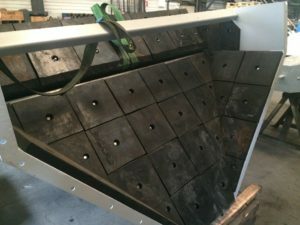 Impact bars conveniently placed under load areas prevent damage to the belt, stabilize the run and prevent lateral spills of the material being transported.